Cold weather and low humidity take their toll on skin. 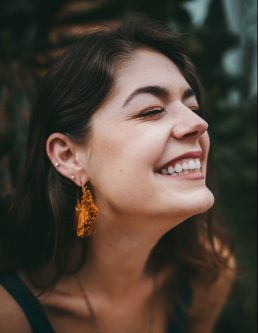 Dry skin builds up on the surface over time and regular exfoliation will return skin to its more fresh self by exposing the new skin underneath. Skin goes dry much faster in the winter so your exfoliating routine needs to step up to keep up. Here are solutions to 6 common winter skin problems and tips for maintaining your skin throughout the year. Exfoliation here can really help. My new Sugar Lip Scrub exfoliates gently and removes flakiness, dryness and chapping. Apply the lip treatment right after scrubbing and nightly before bed. For cracked hands: Exposure to dry air and harsh winds may be the primary threat to hands in the wintertime, but repeatedly washing them (to ward off germs) can also cause cracked, scaly-looking skin. Keep your hands covered whenever you’re outside, keep a hand cream in your purse and desk; use it several times daily. Using gloves to wash dishes will make the biggest difference. Not only will your manicure last 3 times longer, but your hands will be saved the damage from dish detergent, hot water and scrubby sponges. Those things are meant to clean pots and pans…not come in contact with delicate hands. For some it may be a new habit and feel awkward, but you will grow to love how much better your hands feel! Get the extra long gloves with flocking inside for added comfort. For tight and itchy face: In order to keep your face from getting too dry, use a cleanser meant for sensitive skin. Over washing can lead to dryness, and dryness makes skin tight and itchy. Basis Cleanser is a mild cleanser that does not dry out the skin. Exfoliating once or twice a week will remove the dry dead skin cells so your face can start anew with softer skin. 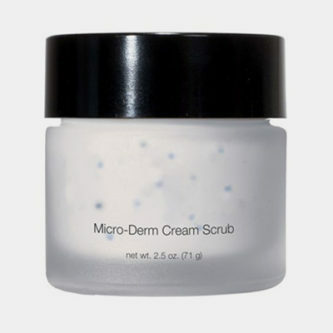 Micro Derm Scrub is the gold standard for scrubs. It contains rounded corundum crystals to gently buff off the old cells leaving fresh new skin. It lessens age spots, scarring, sun damage, fine lines and clogged pores quickly. It takes 2 minutes, 2 times a week. If your skin is more delicate or sensitive try the Exfoliating Enzyme Scrub. It uses Papaya Enzymes to remove impurities. It is a scrub and masque in one. 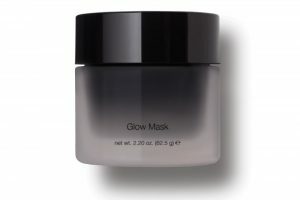 If you have clogged pores and breakouts, the Glow Mask is for you. Activated charcoal draws out impurities and leaves pores cleaner and less likely to clog. For all scrubs, soak in the tub for 5-10 minutes and let the steam open the pores, or do it at the end of a shower, when skin has had a chance to soften. Rub gently up and out in circular motions. Use medium pressure; spend extra time around the nose, chin, and forehead where pores gather more debris. To get a glow and increase circulation, alternate with warm and cool temperatures (never hot and cold). Use a warm wet towel to open pores, exfoliate, do your mask, and then remove with cool water. For dry nose: The inside of the nose dries out and cracks causing itching, sniffles, and sometimes bleeding. Solution: “Neosporin”- rub it on either side of the septum, especially at night to heal and hydrate. Your nose will heal almost overnight. Vaseline also works. Get a humidifier and run each night. Breathing dry air for 8 hours can be brutal, so just a small increase in humidity will help you sleep better and wake up feeling less parched. For dry eyes: Eyes itch and water when they don’t get enough moisture. Don’t rub your eyes and don’t use “Visine”; it constricts the blood vessels and actually makes the problem worse. Solution: Use an eye moisturizer. “Moisture Eyes” by Bausch and Lomb is a good one available OTC. “Refresh Tears” is another one. Just one drop a couple times a day will give relief. Also wear sunglasses to protect eyes from the wind. For dry legs, arms and body: Don’t stop at the face…continue with a complete body exfoliation all the way to your toes. Your skin needs to shed the dead layer of skin on a regular basis to remain soft and fresh. Exfoliating every other day will keep old skin from building up and let fresh new skin shine through. The best time to scrub is in the shower or tub when skin has softened. Rub up and out in a circular motion with an exfoliating body cloth or exfoliating gloves and your favorite body wash. Spend extra time on knees, elbows and feet. You will see a pink glow to the skin as circulation increases, carrying away toxins. You’ll feel squeaky clean and very soft. Immediately after the shower, pat dry and apply a rich body lotion. Once your skin is more soft and glowing, here’s what you can do to maintain it year round. A good body brush can change the texture and tone of your skin. Dry brushing is an old technique that uses a natural boar body brush on dry skin to increase circulation and improve the skin’s texture. Dry brushing brings blood to an area. Skin will be warm and pink after a session. The increased circulation removes impurities through the bloodstream. You will notice your skin begin to tighten and be more even in texture. Brush once a day on dry skin, before or after a shower. Begin at the feet and work up the body toward the heart. Do the feet and legs first, then the torso. Brush in a clockwise circle on the abdomen. Brush the arms upward from hands to shoulders. Brushing over the breast area and lymph nodes will improve breast health. The brush should feel brisk and a bit intense. It will wake you right up in the morning and help your body loose the craving for caffeine. Eat plenty healthy fats and oils. Olive oil, avocados, real butter, raw nuts and fish will all help. Take Fish Oil, Flax Seed Oil or a combo of Omega 3, 6, and 9. Take vitamins and minerals to hold moisture in the body and drink water regularly throughout the day. The total should be half your body weight in ounces. Be sure to continue into the evening because the most water is lost during sleep. Eat fresh caught salmon 2-3 times per week. www.vitacost.com is a great source for discounted supplements. Night time is when most dehydration occurs. We lose a lot of water through breathing at night, so be sure to apply all your creams, lotions and drops to nose, eyes, lips and body right before bed. Drinking extra water in the evening will help keep your moisture levels up through the night. This is a miracle product! Not only can you consume it, but it can be used on almost any part of the body topically. -Bath Oil-drop some in a bath and enjoy a good soak. -Moisturizer- apply to dry hands and feet-then wear gloves and socks to bed and wake up feeling super soft. -Hair Masque-apply every 4-6 weeks to hair as a masque and leave in for 2 hours. Shampoo and rinse and your hair will have absorbed what it needs and become manageable, shiny and split end will be less. Be sure to wrap your head in plastic wrap or a bag, then wrap in a towel to hold in the heat. -Makeup remover- it easily dissolves stubborn makeup including waterproof mascara. Follow with a gentle cleanser. As always, I am here to answer any questions you may have…keep in touch!